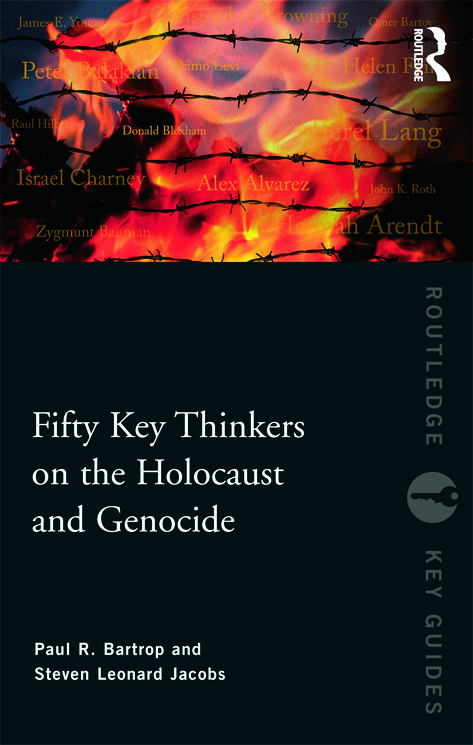 A thoughtful collection of groundbreaking thinkers, this book is an ideal resource for academics, students, and all those interested in both the emerging and rapidly evolving field of Genocide Studies and the established field of Holocaust Studies. Paul R. Bartrop is an honorary fellow in the Faculty of Arts at Deakin University, Australia, and head of the Department of History at Bialik College in Melbourne. His publications for Routledge include The Genocide Studies Reader with Samuel Totten (2009). Steven L. Jacobs is Associate Professor and Aaron Aronov Chair of Judaic Studies in the Department of Religious Studies at The University of Alabama, USA. His most recent book is Confronting Genocide: Judaism, Christianity, Islam (2009).